19304 Diamond Lake Dr sold in only 2 days for full asking price of $250,000! Want to know how much your home might sell for? Try our Leesburg Instant Home Value Calculator. 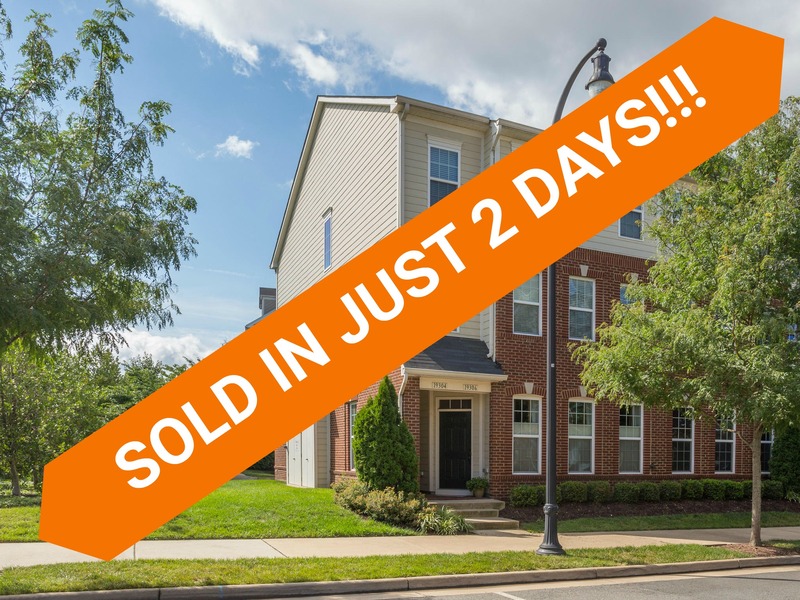 Within walking distance to Lansdowne Town Center, 19304 Diamond Lake Dr, Leesburg, VA 20176 is convenient to so much! The cathedral ceiling and bright, open floor plan make for a home ready for living and entertaining. Neutral paint and carpet gives you a blank canvas to make your own. Test your culinary skills in this amazing kitchen with granite counters, maple cabinets, and stainless appliances. Check the weather for the day from the window above the kitchen sink. Sliding doors take you out to the deck, perfect for enjoying a lemonade and great conversation. Rest your head in the evening in the two spacious bedrooms with carpet and angled ceilings. The two full baths have been updated with granite vanities and decorative tile detail in the shower. Convenient one car garage and driveway. Enjoy nearby shopping, restaurants, grocery store and outdoor concert area. Conveniently located for commuters! Minutes to Dulles Toll Road, Rt. 7, Dulles Airport and Dulles Town Center.